The iconic summer tour returns for its 10th year featuring Brooke Fraser, Bic Runga, and Benny Tipene. Celebrating its 10th anniversary, The Winery Tour will be returning to Waipara Hills on 18th February 2017 to celebrate Kiwi summer in the best way possible, with outstanding music and great wine amongst the vines. Opening the show will be The Winery Tour newcomer Benny Tipene, an exciting new talent rapidly making a very big name for himself in NZ. Benny exploded onto the airwaves with four hits from his debut album ‘Bricks’ including the #1 platinum single “Walking on Water” and top ten gold single “Lonely”. Benny is busy completing his second album in time for the Winery Tour, an album which will include his brand new single “Where Love Comes From”. Tickets for The Winery Tour can be purchased online via www.winerytour.co.nz and at Waipara Hills Cellar Door, and go on sale on midday 31st October. 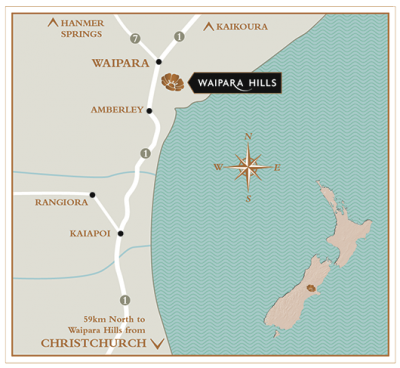 *Tickets purchased through Winerytour.co.nz will be subject to an online booking fee. Children under the age of 12 will be granted free entry when accompanied by an adult ticket holder (one child per ticket holder).